The corporate governance lacuna that is being overlooked which may have helped perpetrate the present scam has garnered no media attention. 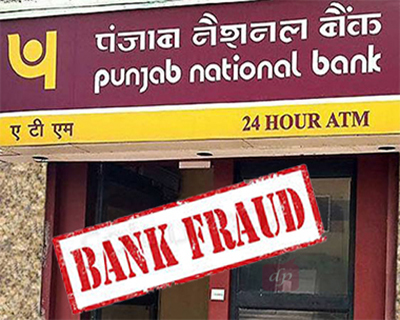 The recent Punjab National Bank (PNB) scam grabbed headlines across all news media for the sheer size (₹12,000 crores) of the scam and the ease with which it was conducted. In fact this scam has not been the result of an isolated incident, but arose from sustained acts of omission or commission. While the investigation by the CBI progresses in earnest, some of the lower level facilitators have been caught for the procedural lapses. Although we are yet to know the entire actors in this episode, as usual the focus of the media has been on getting hold of the fraudsters. We also do not know how such a massive scam remained undetected, despite Suspicious Transaction Reports (STRs) being raised on these transactions. Certainly, some questions have been asked about the role of the auditors and the failure of operational risk management. Auditors pointed at the bank’s unwillingness to dig deeper despite their reminders about similar kinds of frauds a decade ago. The recent announcement of the injection of around ₹2 trillion into public sector banks by the Finance Ministry also raises a greater worry. As a result, there is an additional burden on tax payers upon these public sector banks, for there is the issue of sovereign guarantee. So the pertinent question remains: Should these public sector banks not have a robust governance mechanism of oversight before any further infusion of the tax payers’ money? To recollect, the PNB declared in February that they had unearthed a fraud within their system, wherein the fraudsters were issued Letters of understanding (LOU). LOU essentially is a bank guarantee against which another lender gives a foreign currency loan issued by PNB without collateral. Therefore the fraudsters used the PNB guarantee to acquire goods at the expense of PNB, without the requirement of any collateral, and run their business unhindered. When the time for repayment of the previous LOU became due, they would resort to the same strategy and repay that amount. So the bank was caught in a vicious cycle of allowing its funds to be used to run the business of the fraudsters. This raises the question of how could this not have been detected by the auditors. But as the previous auditors said, they had detected and reported similar incidents in 2006 and no action was taken. Indeed after the recent scams it has been reported that the government is planning to introduce governance to improve the quality of its credit appraisal systems. But it is important to understand the possible corporate governance lacunae that may have helped perpetrate the present scam. In fact, this is the aspect that has attracted the least media attention. As is commonly known, corporate governance is the system by which companies are directed and controlled. So it is not about the day-to-day operational management of the company, but what the board of a company does and how the values of the company are set by the Board. This means having the best persons in the Board. There are three issues to be considered in the case of corporate governance in public sector banks. First, being a listed entity PNB would have to adhere to Clause 49 (2014) of the Securities and Exchange Board of India (SEBI) listing agreement. In fact it is precisely this capability that is enshrined in clause 49 too. As a responsibility of the Board: ‘Board should provide the strategic guidance to the company, ensure effective monitoring of the management and should be accountable to the company and the shareholders’. More importantly, the Board is also tasked with ensuring the integrity of the company’s accounting and financial reporting systems, including independent audit and putting in place appropriate systems of control – for risk management, financial and operational control, and compliance with the law and relevant standards. Second, coming to the rules for composing a Board: Firstly, board shall have an optimum combination of executive and Non-executive Directors (NED), with not less than 50 percent of the board of directors comprising of non-executive directors. Secondly, where the Chairman of the Board is a non-executive director, at least 1/3rd of the Board should comprise independent directors and in case the company does not have a regular non-executive Chairman, at least half of the Board should comprise independent directors, and thirdly, independent director means NED, but excludes nominee director. Finally, the regulation requires a qualified and independent audit committee. The audit committee shall have minimum of three directors as members and 2/3rd of the committee members shall be independent directors. Also, all members of audit committee shall be financially literate (means the ability to read and understand basic financial statements i.e. balance sheet, profit and loss account, and statement of cash flows) and at least one member shall have accounting or related financial management expertise. Looking at the website of PNB, the corporate governance and annual reports, the Board has 11 members with one of them a part-timer. In fact the website of the bank does not clarify the category into which these directors fall. Incidentally it is this part-timer (non-official director) who is supposed to play all the important roles in the audit committee. It is not our role to cast aspersions on the capability of the directors nor the efforts they have put in, but to query the concerns in the light of the emergent scam. To anyone looking at their website, this addition would almost seem like an act to be an after-thought of having at least one accounting expert. Similarly you see the Board being headed by a NED and as a consequence only 1/3rd of the Board needs to be NEDs. However, a cursory look will show that two of the directors are government nominees. Importantly, as per the present SEBI listing rules these nominee directors cannot be considered as NEDs’. In fact NEDs are not passive actors on the board, but have crucial role to play. NEDs are supposed to constructively challenge and help developing proposals on ‘strategy’. Similarly, they also have a crucial role to play in scrutinizing the performance of management systems. Precisely, the PNB scam shows that the NEDs have failed on all these counts. Looking at the corporate governance and annual reports of PNB, you find that the audit committee is not headed by a person having accounting or financial management expertise. Similarly, the other members seemingly are no experts in accounting (although this is not a requirement), and the government nominees are shown as NED’s which against the SEBI regulation. The audit committee is having another critical element of corporate governance, and here too the PNB has been willing to compromise. Now it is not our role to cast aspersions on the capability of these directors nor the efforts they have put in, but to query these concerns that seem glaring in the light of the emergent scam. At 65 percent the government of India is the largest shareholder at PNB and certainly this scam has resulted in a loss of tax payers’ money. However, there seems to be no discussion about bringing in changes in the corporate governance structure at these public sector banks. The Board at PNB seems like a place for recycling senior staff from other public sector banks or government entities. We ought to be thinking whether we have the best minds in the boardrooms of the banks. As this scam has shown we cannot have a lax/bureaucratic attitude to the composition of the boards at these banks. It may not be in the interest of the public and tax payer to keep these banks in the public sector if these scams go unchecked. Now, for this to happen it is important prosecute and punish the perpetrators, but equally important is to have the best practices in place too. It is here that an effective board is invaluable.